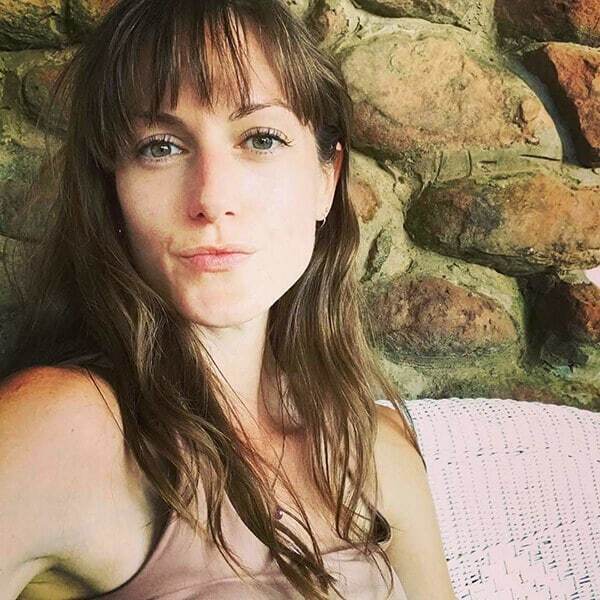 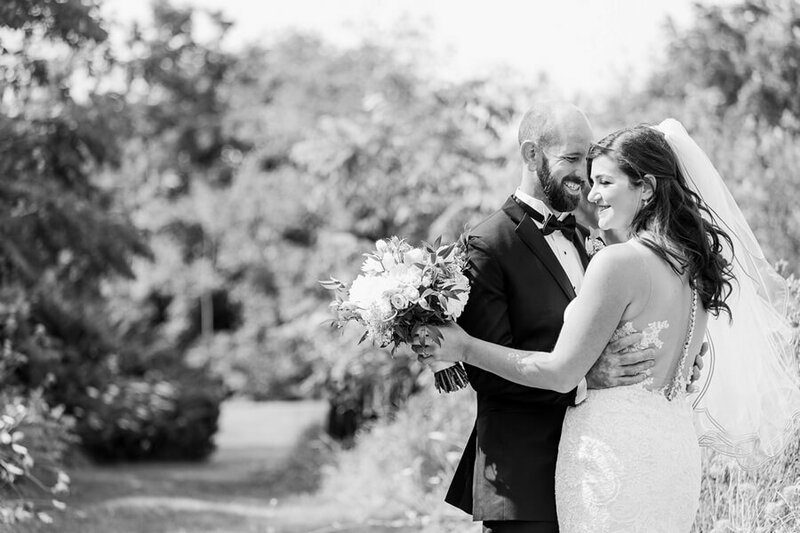 After hitting it off at a bar in a small town in South Africa — where Ivan is from, and where Hayley was volunteering — this sweet couple moved back to Toronto to start their new life together. 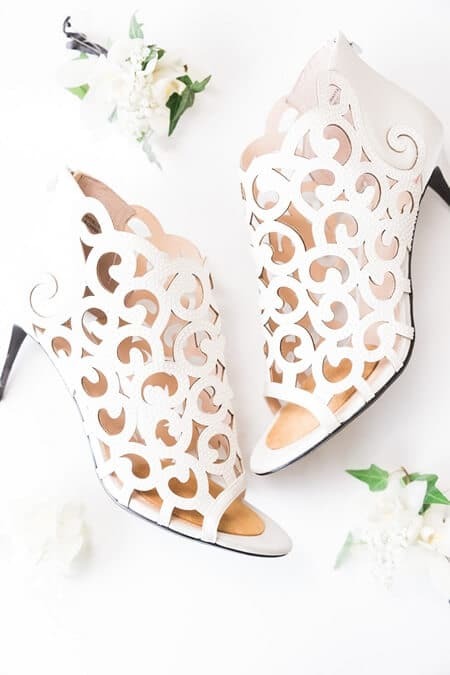 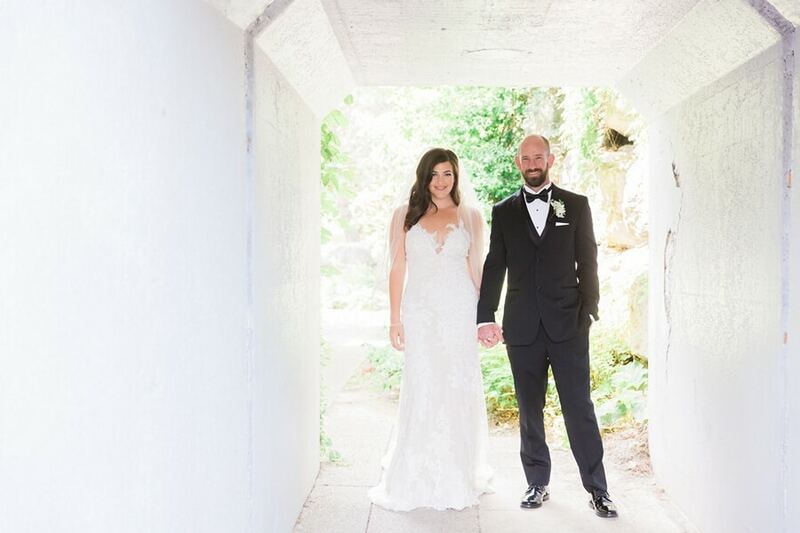 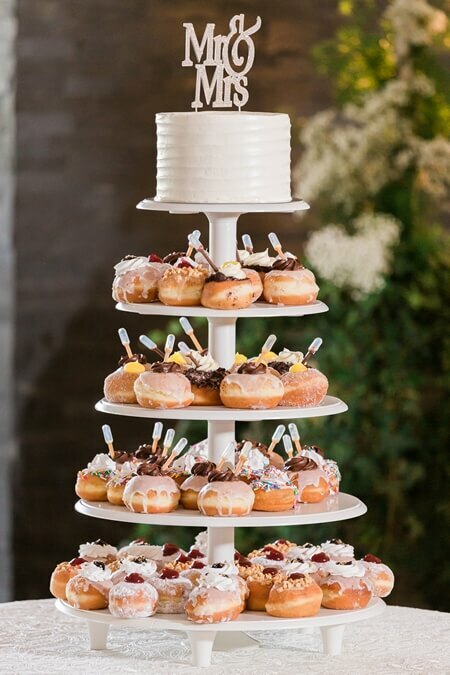 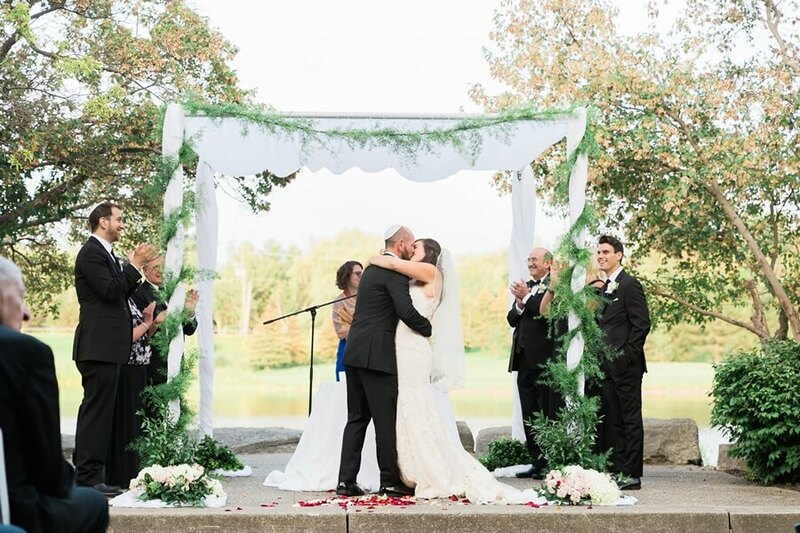 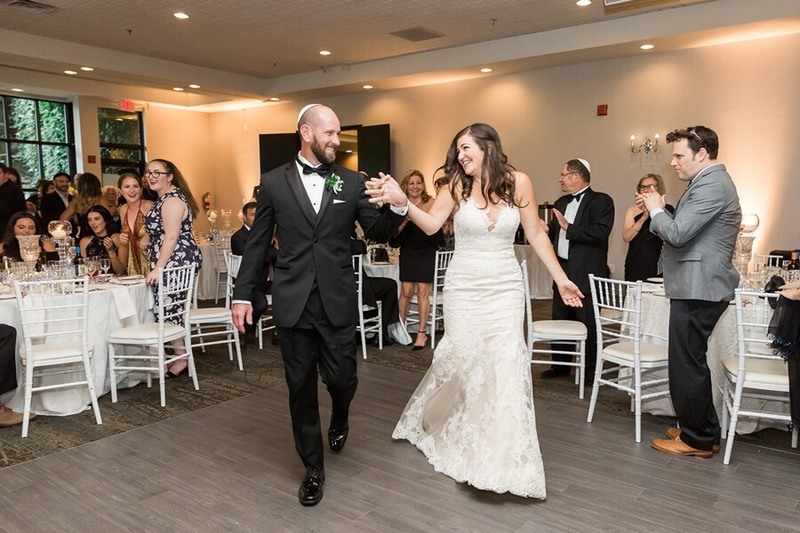 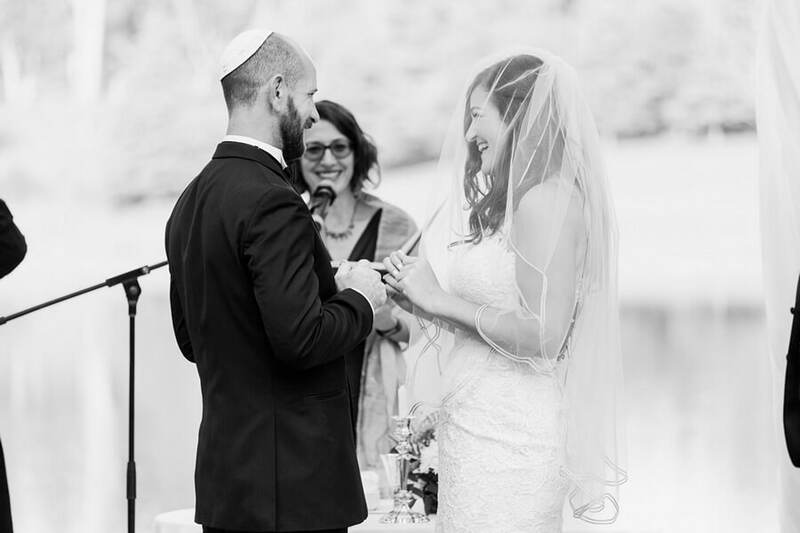 Their traditional Jewish ceremony and reception, which was planned mostly by Hayley’s mother, Judi, was both elegant and modern. 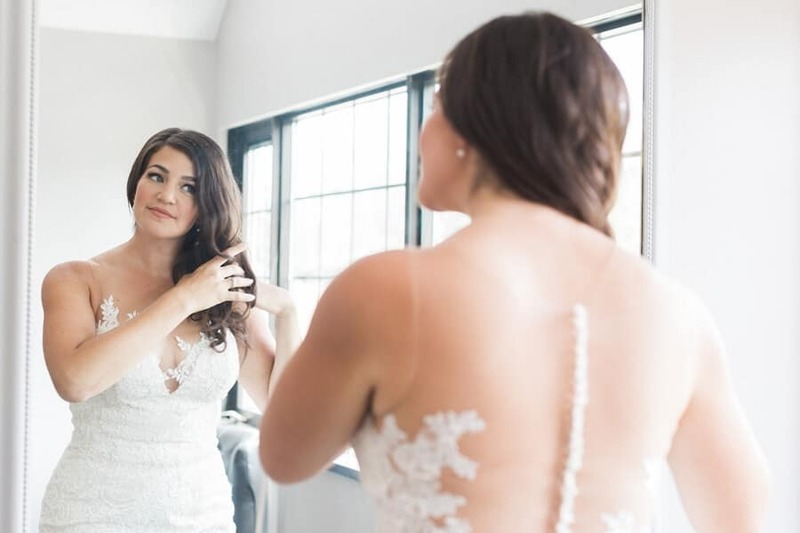 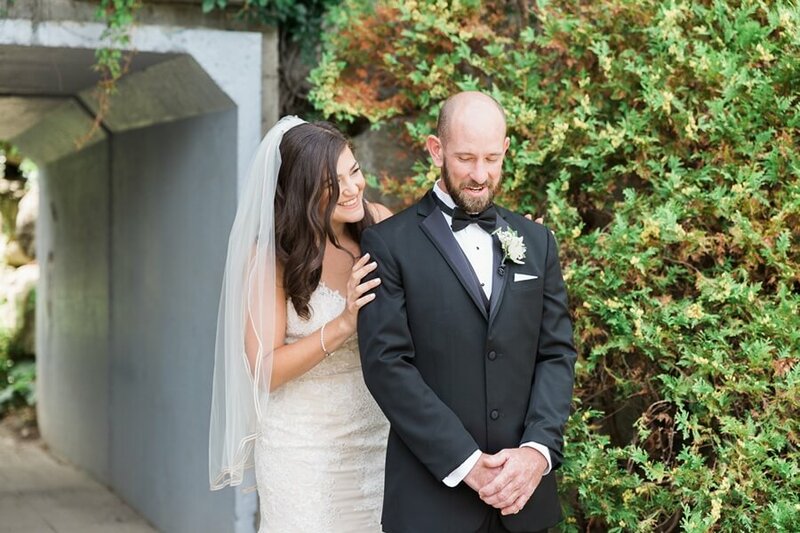 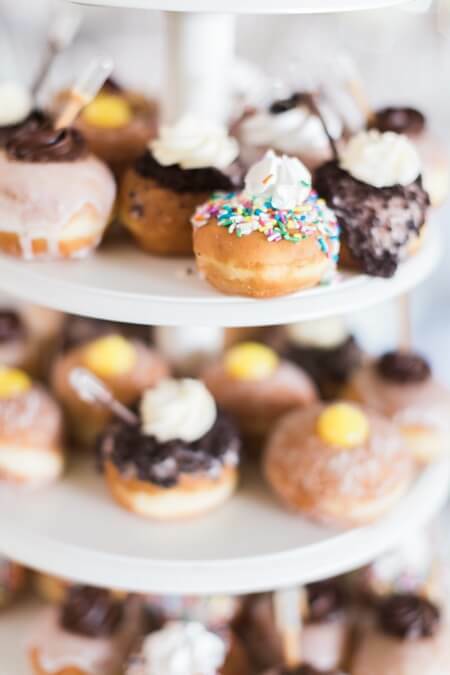 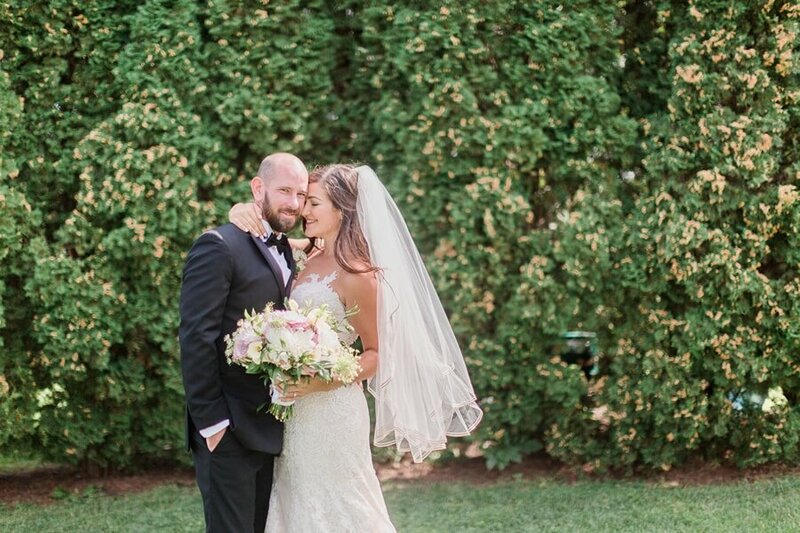 Everything came perfectly together with the help of Swoon Events, and the couple’s wedding at The Manor was most definitely swoon-worthy. 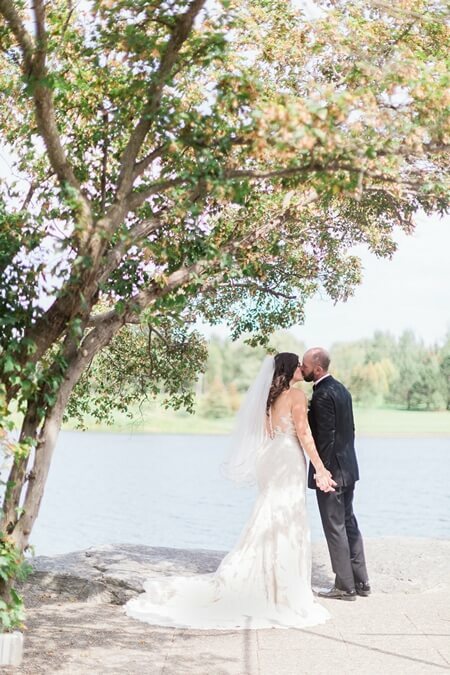 Thankfully, photographer Samantha Ong was on hand to capture each sweet moment. 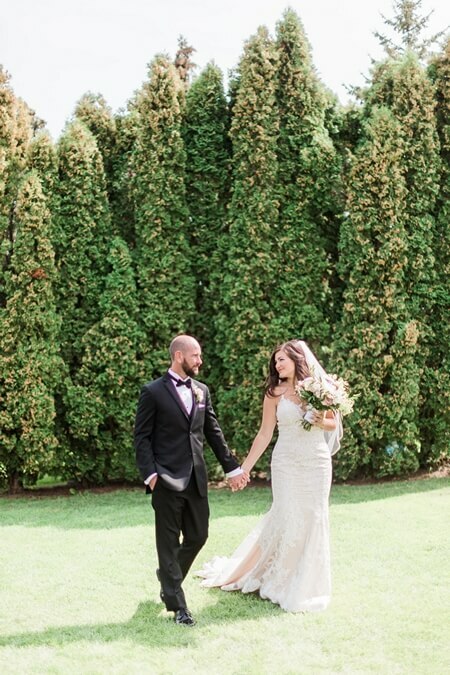 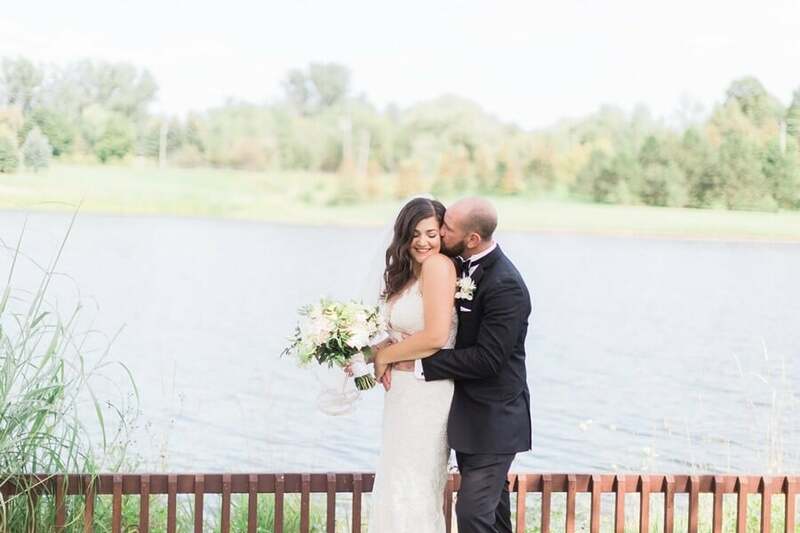 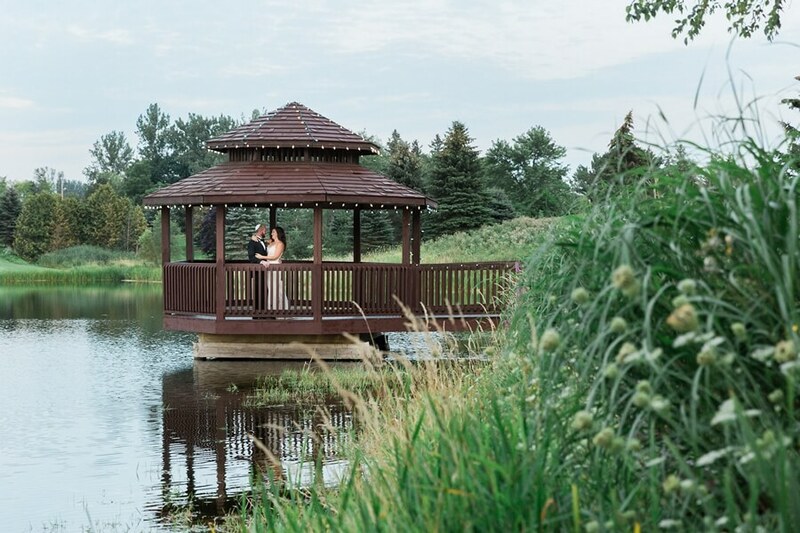 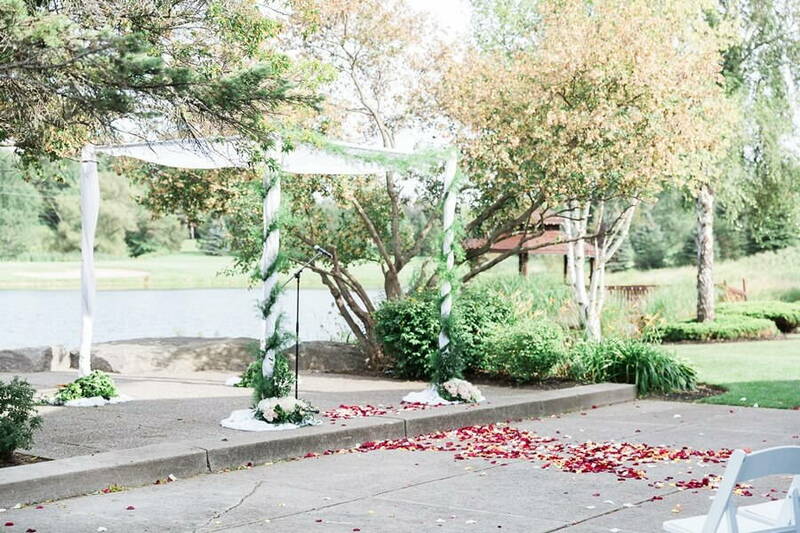 The couple’s adorable first look and ensuing romantic photo session is giving us all the feels…between the stunning couple, the venue’s scenic views, including the gorgeous surrounding greenery, and the stunning gazebo by the water, we simply can’t get enough! 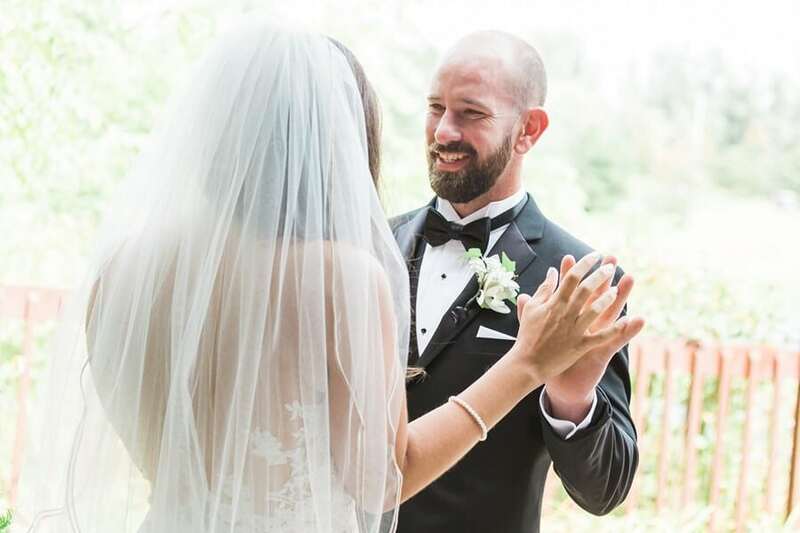 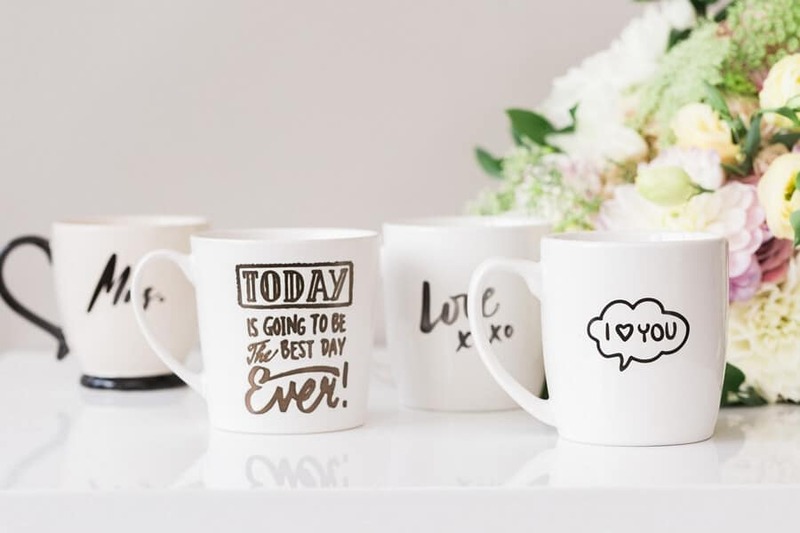 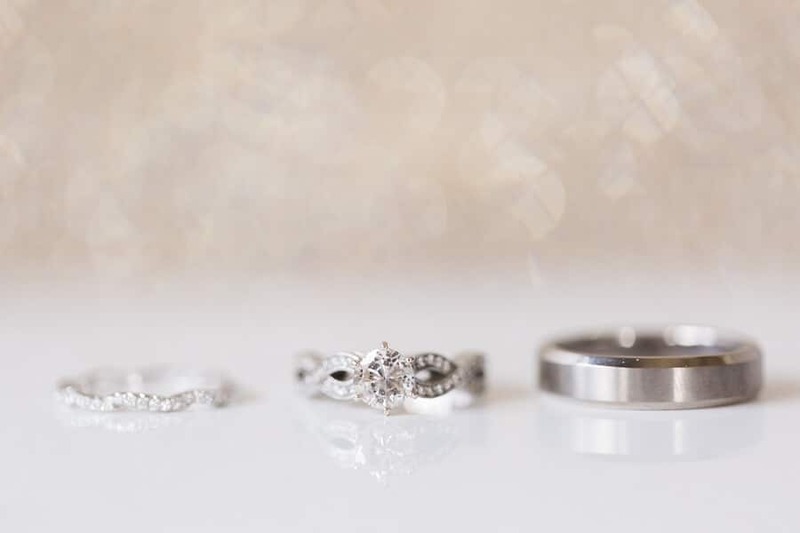 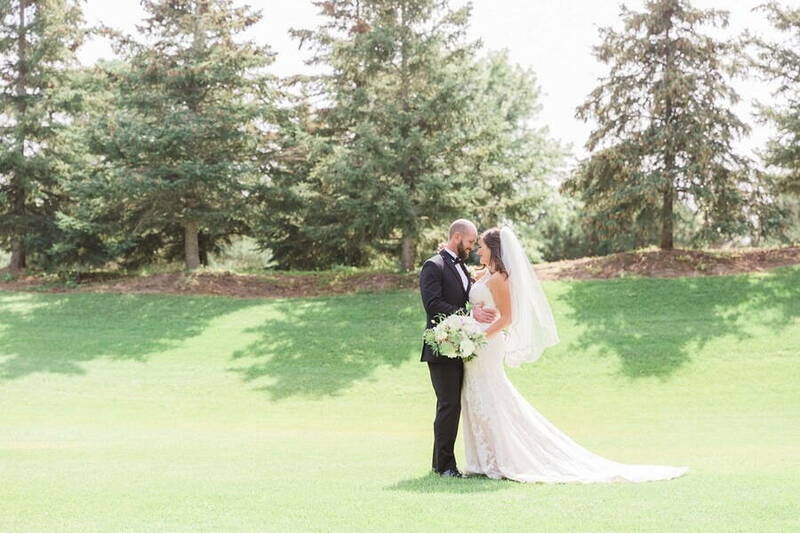 The couple’s breathtaking ceremony was filled with many sweet moments, made all the sweeter by the fact that all their closest family and friends, including Ivan’s parents who flew in from South Africa, were on hand to witness the start of this couple’s life together. 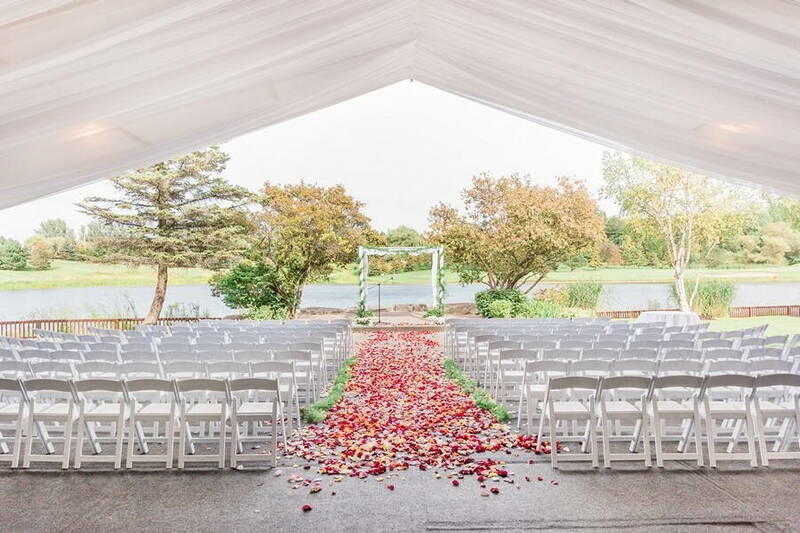 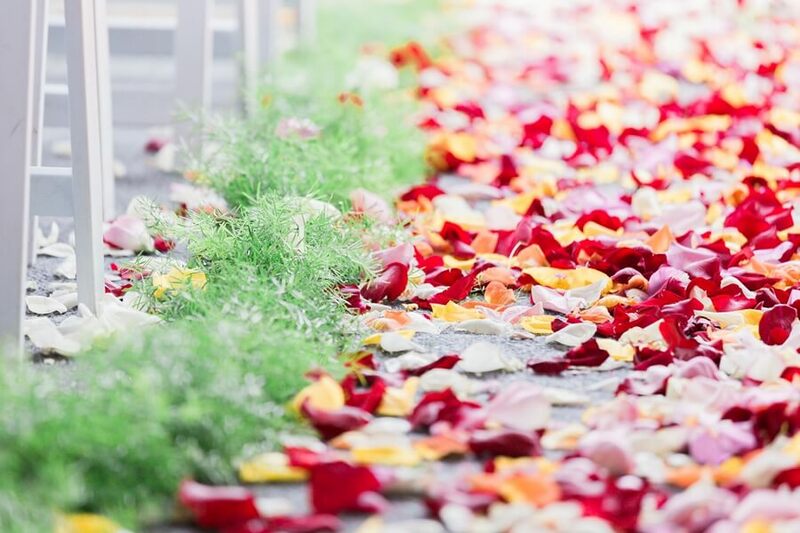 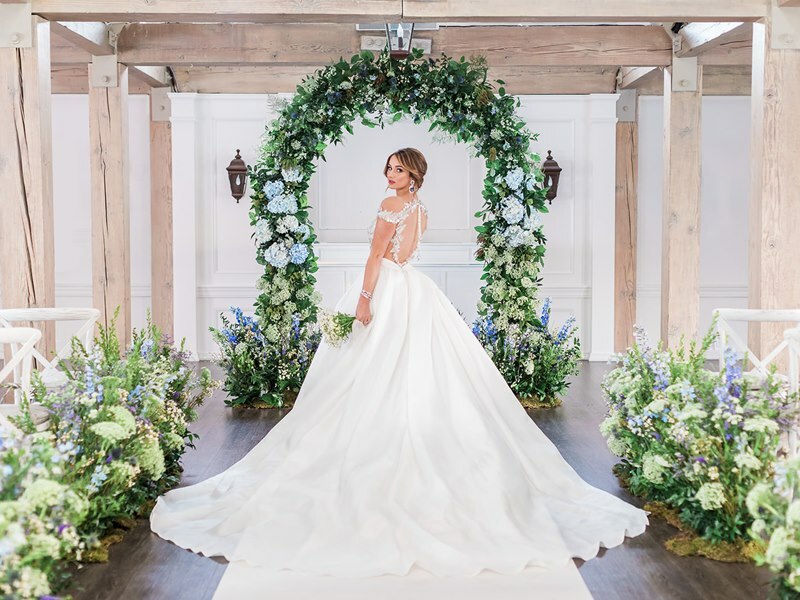 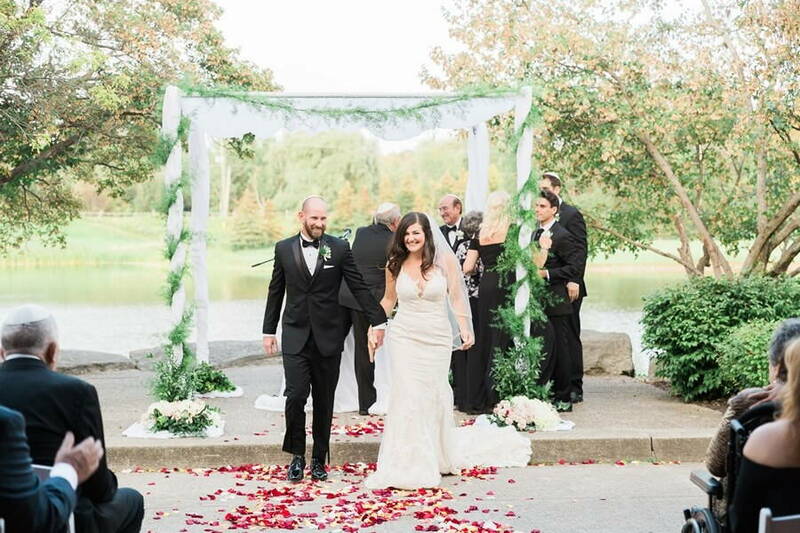 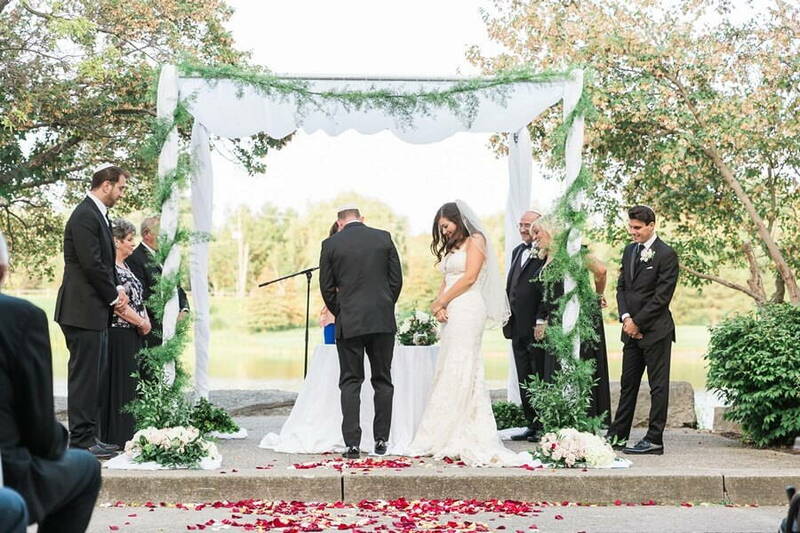 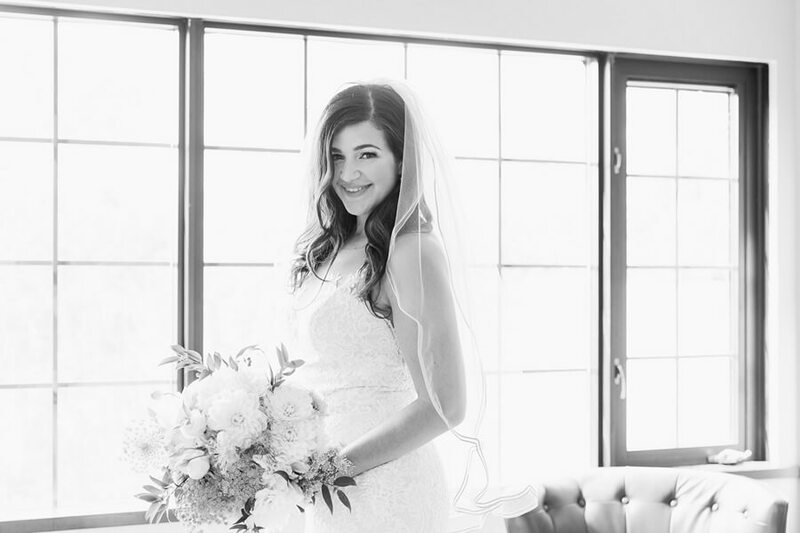 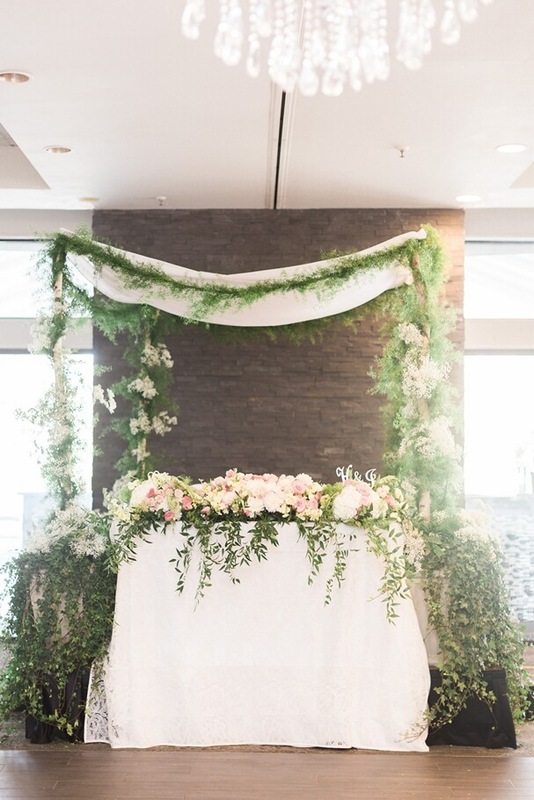 From the aisle of rose petals to their beautiful Chuppah, created by Karen Baker Floral Design & Event Planning, their ceremony was more than picture perfect. 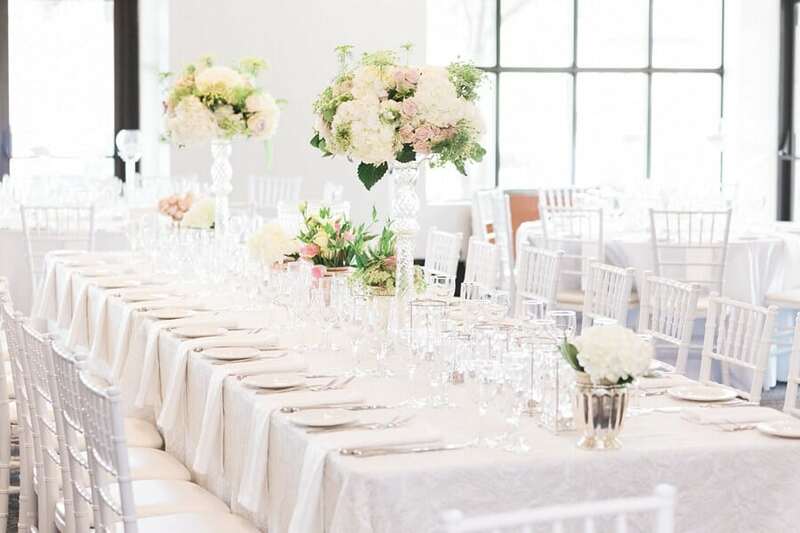 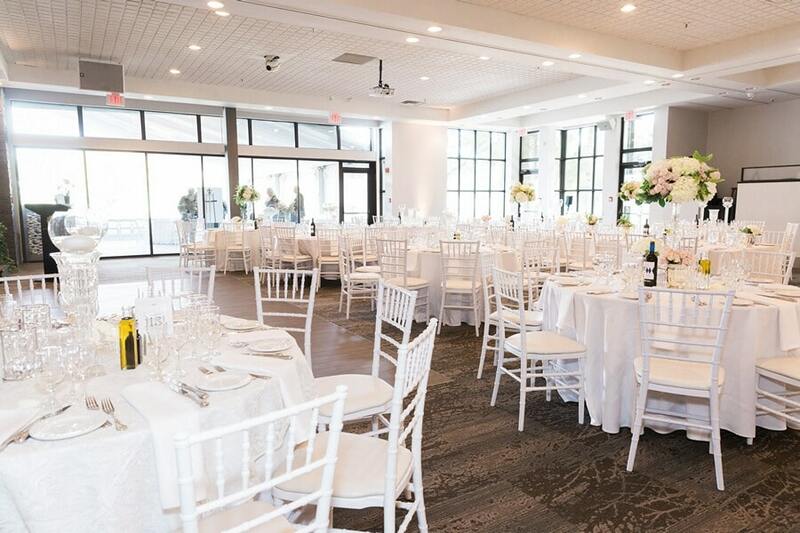 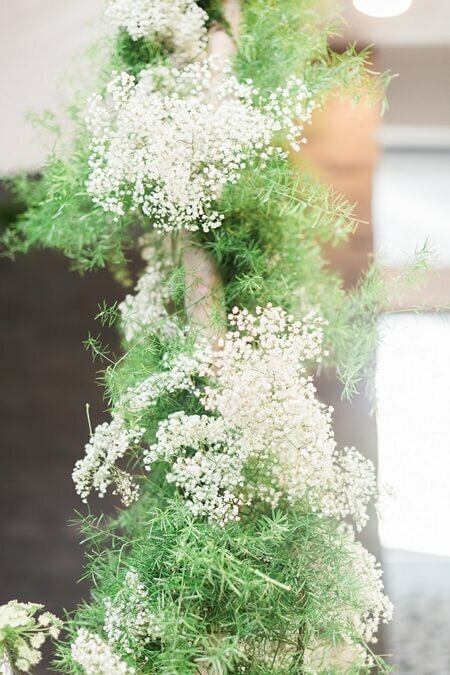 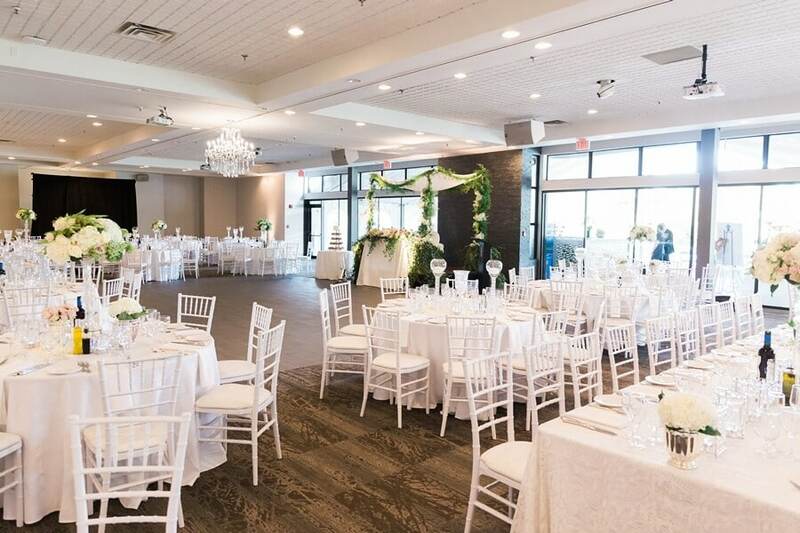 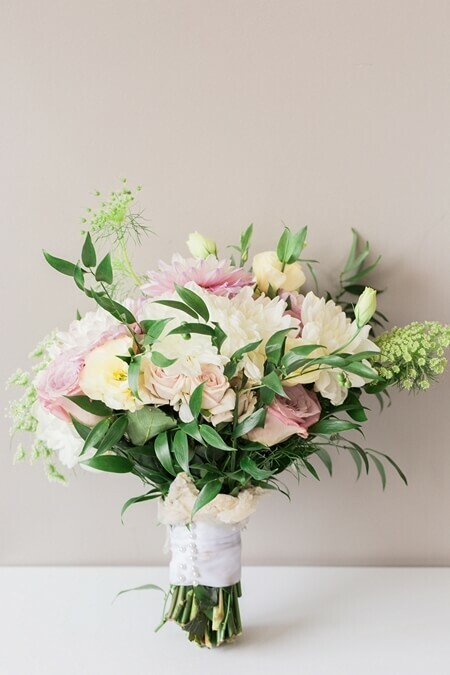 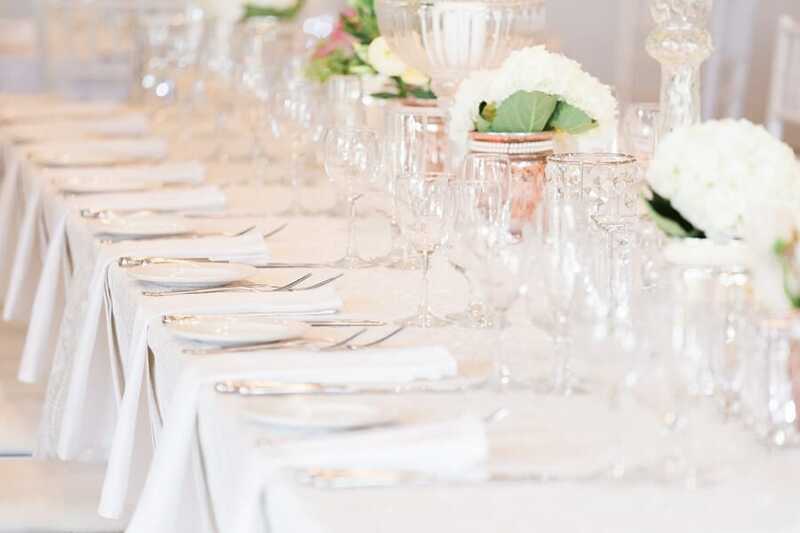 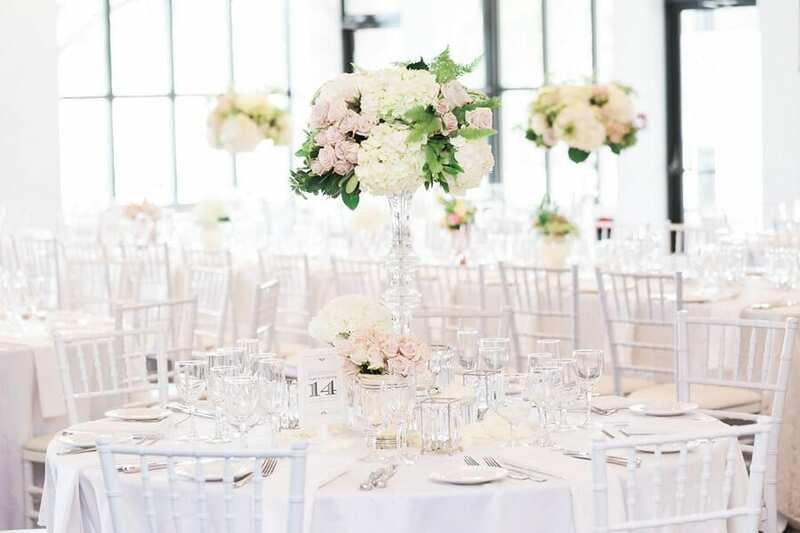 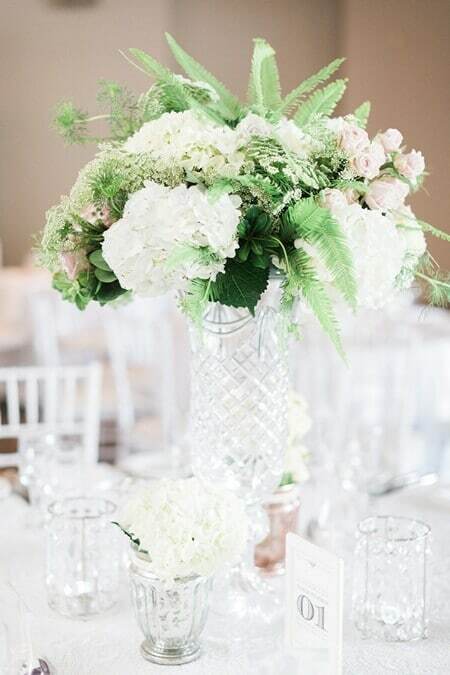 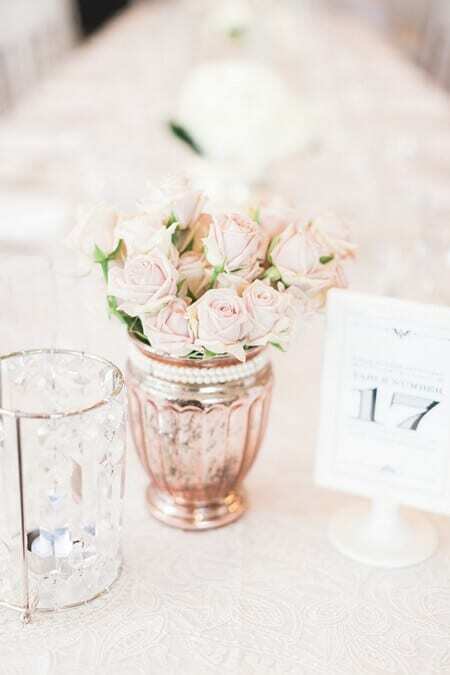 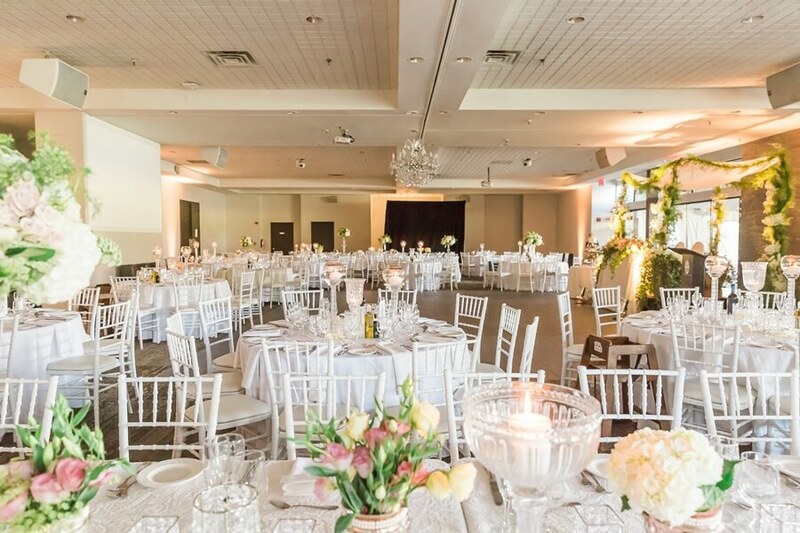 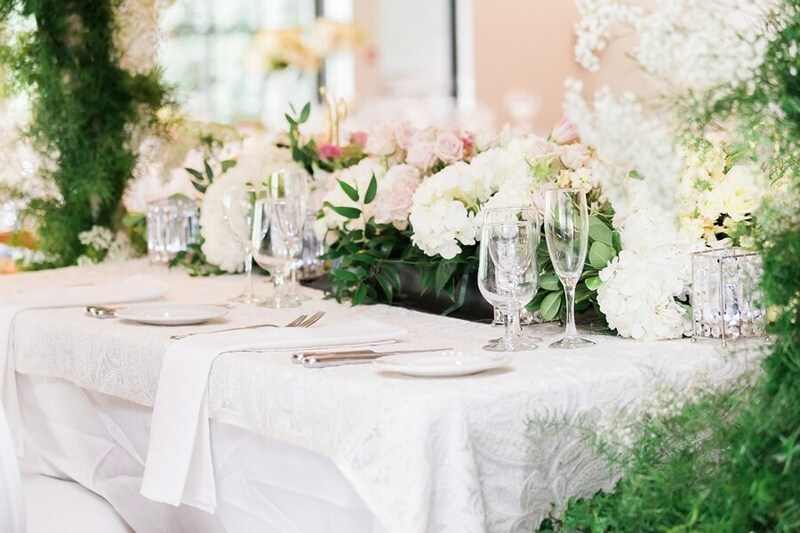 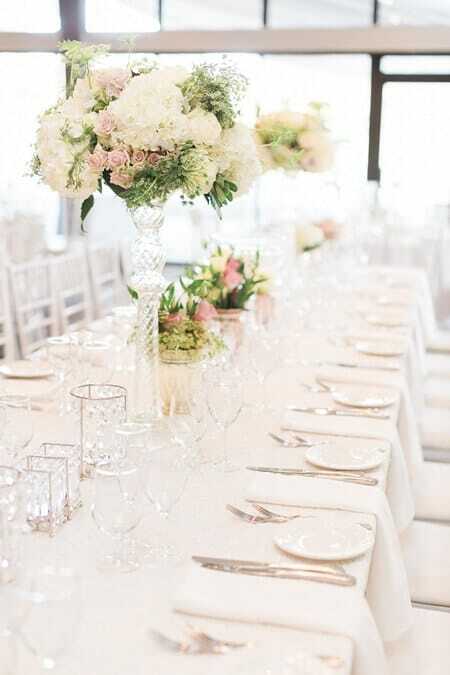 The newlyweds’ reception was the epitome of modern elegance: using a chic white palette, the couple’s tablescapes were peppered with pretty pastel florals by Karen Baker Floral Design & Event Planning, dreamy candles, and soft pink touches that brought made the room feel elegant and inviting. 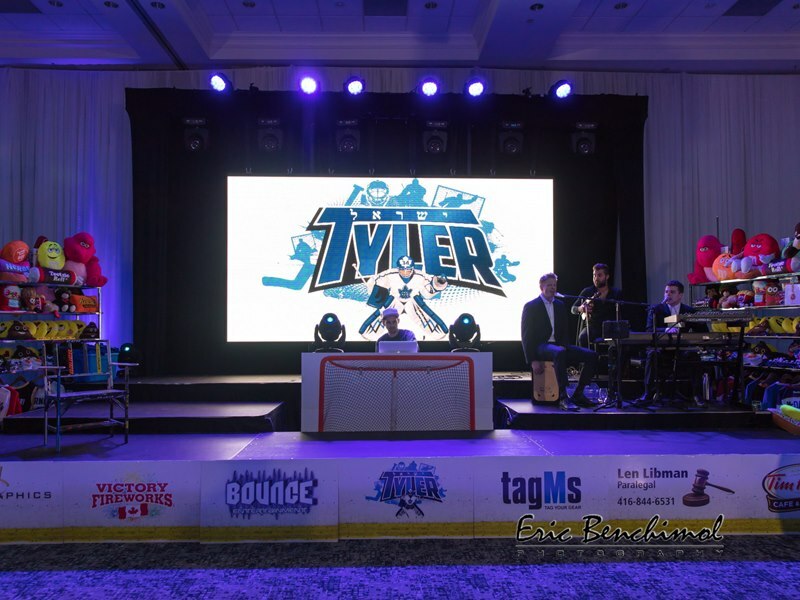 Later in the night, Bounce Entertainment brought everyone to their feet, dancing the night away.